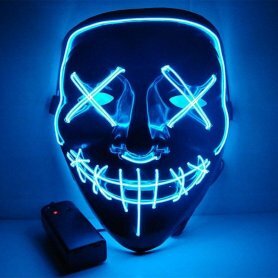 HALLOWEEN LED rave mask - sound sensitive, which excels best at Halloween, carnival, disco, club, party or festival, it's the right investment for you if you want to be the center of attention and to be cool. 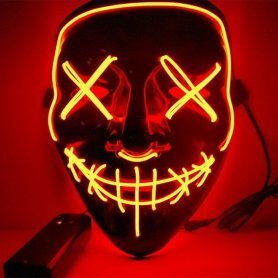 HALLOWEEN LED rave mask - sound sensitive, which excels best at Halloween, carnival, disco, club, party or festival, it's the right investment for you if you want to be the center of attention and to be cool. The mask is equipped with a sound sensor and it flashes depending on how music plays (or other sounds like speech etc.). 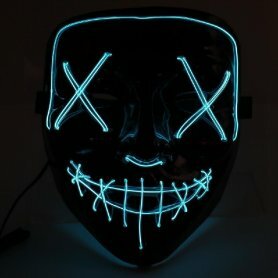 Rave Electro LED masks - everyone will envy you. There is an El inverter inside of the mask. 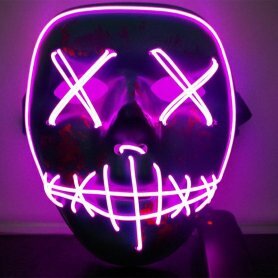 Rave masks can be purchased online in our e-shop.